An easy way to learn French and to improve! 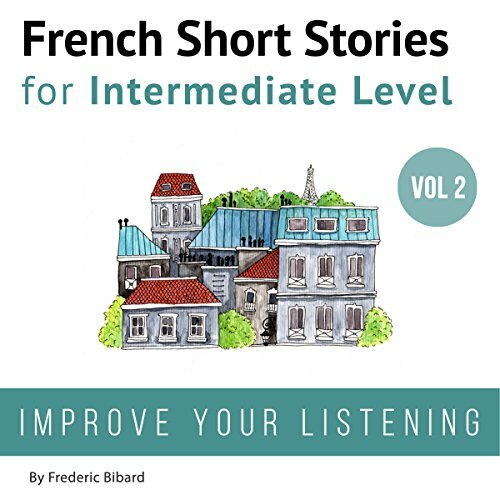 Improve your reading and listening comprehension and make learning new vocabulary so much easier with seven French short stories. Familiarize yourself with spoken French. The over ten hours of audio recorded by French native speakers will drastically improve your pronunciation as well. 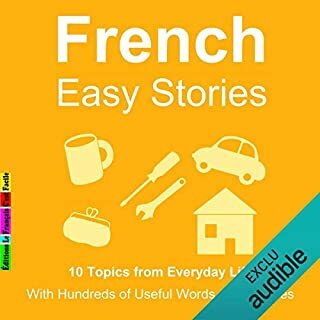 Each story is broken down with a French and English glossary to introduce you to the words and phrases you might not understand. This removes any painful back and forth process of continually searching for definitions or translations. 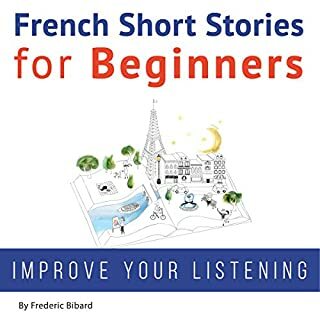 The stories are written for new French learners, but a basic understanding of French is recommended for maximum enjoyment and effectiveness of the lessons. Perfect for anyone who wants to brush up on their French. I’ve been studying French on my own for a few years, and when you’re learning a language on your own without a person to practice speaking and listening with (like your tutor would be), good audio materials are crucial. Otherwise, it’s a waste of time. I found this audio-book very helpful in that aspect. It was a great idea to have both female and male readers for same stories, as taking pronunciation after a male when you’re a female and vice versa makes it a bit uncomfortable. Maybe, it sounds crazy to someone, but that’s how it is for me. I want to say a special thanks to the author for having the vocabulary part voiced as well. It saved me quite some time, as I didn’t have to look up new words in a dictionary. I rate it top and I would recommend it to other people studying French, for this material has plenty of everyday use vocabulary. Not mentioning the stories are fun to listen to. So, I was approached by the publisher/author and offered payment in exchange for a review. I assumed they meant my honest feedback. So I wrote the below review, which I have included in case you actually care about the content of this book. However, my feedback was refused and I was informed in very bad English that they were upset with me and were refusing my further participation, because I put a disclosure at the bottom and because I didn't have 100% good things to say. Basically, they are paying for good feedback and suppressing negative feedback. Don't buy the book!! Much better publishers and content out there. "The beginning of the book is an explanation in English, heavily-accented. Might be hard to understand for some people. I could understand, but I was annoyed by the small English grammar mistakes - it seems unprofessional. The book itself is good. Lots of repetition if you want that, and you can skip it if you don't. The French is clearly pronounced. I especially appreciated the version that was read slower, as my French isn't all that great and it helped me understand more. The stories aren't that exciting, but then again, the point is more to learn French than to be entertained by a really great story. The concept behind the whole thing is sound. As a linguist, I can agree that listening skills are the foundation of learning any new language. Forget about memorizing conjugations and vocabulary - just listen and try to comprehend. You'll be much better off, and you'll learn much faster. This book supports that method of learning. All that being said, I am not sure why you would buy this book, seeing as how there is so much stuff available for free on the internet. Go to YouTube, watch French videos for free. You don't need to spend money to hear someone speaking a language. Full disclosure: I was paid to leave my honest review of this product." 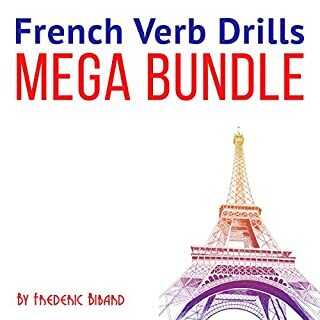 Great for REFINING your French skills! 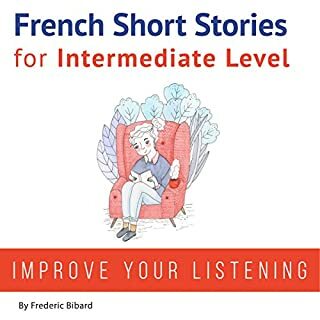 This book is very well formatted for someone looking to improve their French oral and listening skills. 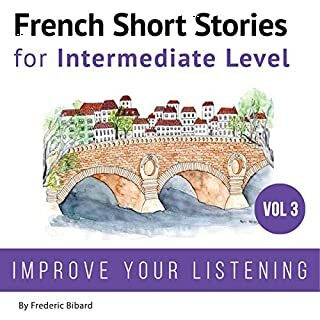 With the stories provided in different versions with normal and slow speed narration, it is perfect for bettering your understanding of French pronunciation, as well as practicing your own pronunciation as you follow along. 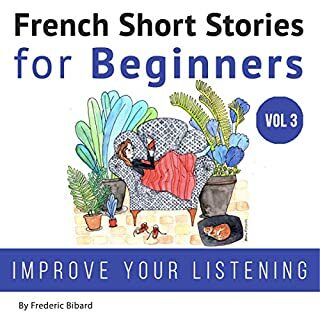 Also, with the two different speakers, you will improve your listening comprehension skills as you hear the same content spoken by different French speakers. Overall, a nice way to REFINE your French skills. I would not recommend this to beginners who may find themselves confused or future tourists seeking to learn a few phrases before their travels.